Coaches and captains of eight children's teams took part in it, who are supposed to vie for the top team title in two age categories. All the finalists assured journalists that they set the task to raise the cup, and most importantly to get an invaluable competitive experience. - I have the best team, - Donbass U10 coach Ilia Shafaruk answered from the start. - We will beat the opponents thanks to our character. Donetsk has been always famous for it. As for my boys, they not only want to win, but also plan to enter FC Shakhtar Academy in the future. - We have such children, which no one has. Even agents came to look. Tomorrow you will see what they do with the ball. Thank you for the opportunity to participate in such a competition! The youngest sportsmen are also optimistic. Each confirmed that it was very difficult to reach the finals. - It was not easy for us to win the tournament in Lviv, but we are all very happy to be here, - Sportresurs U10 captain Artem Nakonechnyi revealed to journalists. - My favourite football player is Andriy Pyatov. I want to be like him when I grow up. The most difficult was to qualify for the final tournament in Kramatorsk, where 330 children were involved in the project. -It was hard to claim the top spot, - confessed Black Star U12 captain Rodion Pustovyt. - But since we came through to the finals, we must win. Our team have attitude to win only! U10 group comprises Sportresurs (Lviv), Strela (Kramatorsk), Donbas (Donetsk) and Pobeda (Kurakhove). On the first day of the competition, the opponents will hold head-to-head meetings. Group tournament matches will take place on May 13 from 10:00 to 12:00 and from 15:00 to 19:00, with a third-spot decider and finals scheduled for May 14 at 13:00. Proryv (Severodonetsk), Kvadrat (Lviv), Black Star and Adrenalin (both - Kramatorsk) entered U12 group. Games in this group will be held on May 13 from 10:00 to 12:00 and from 15:00 to 19:00, with the final matches scheduled for May 14 at 13:30. All games will take place on the pitches of the Pitmen’s Academy in Schaslyve. 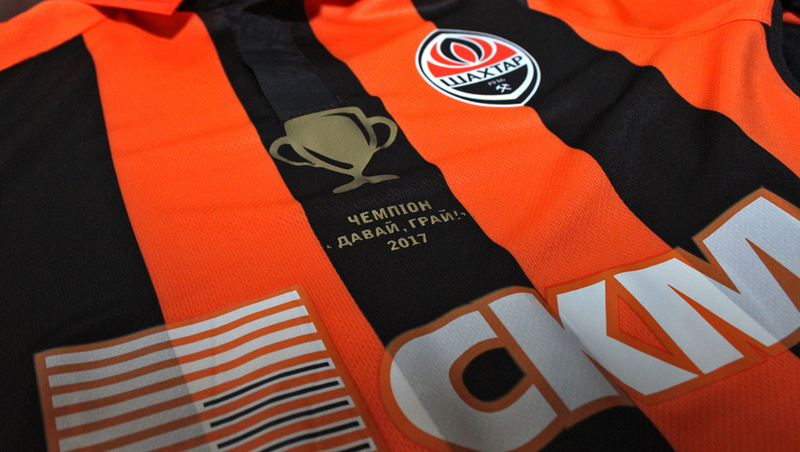 Shakhtar's first team players will award the tournament’s winners and participants with prizes and medals.